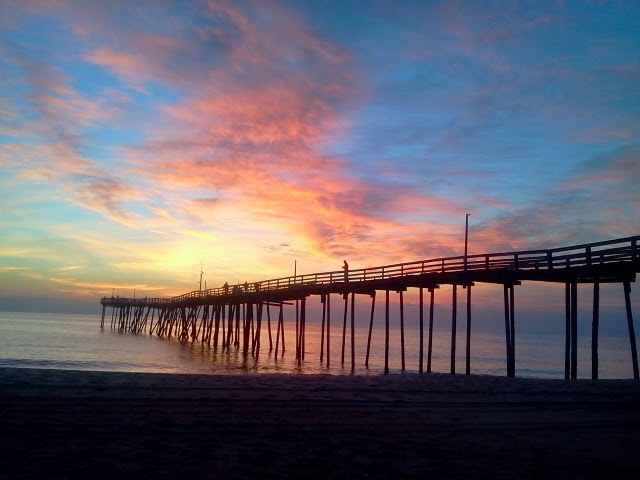 Early morning on the Outer Banks. 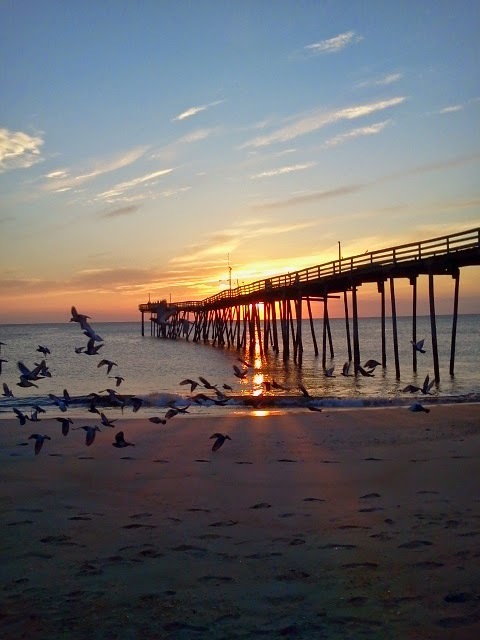 There are many routes to choose from when traveling up and down the east coast. When I was a kid my family and I spent a lot of time (and covered a lot of miles) on I-95 from Florida, Virginia and Georgia (my dad was in the Air Force) to Pennsylvania to visit family. And each time we stopped at South of the Border because…well, because Pedro said so. Fortunately (for me at least), this blog post isn’t about South of the Border. 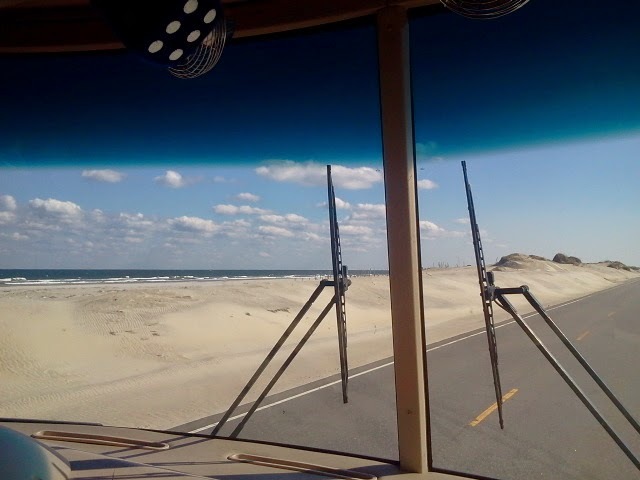 Instead, it’s about how we decided to drive through the Outer Banks and camp near the beach on our way to Florida for the winter. There’s plenty of RV friendly parking here so you can explore the memorial. 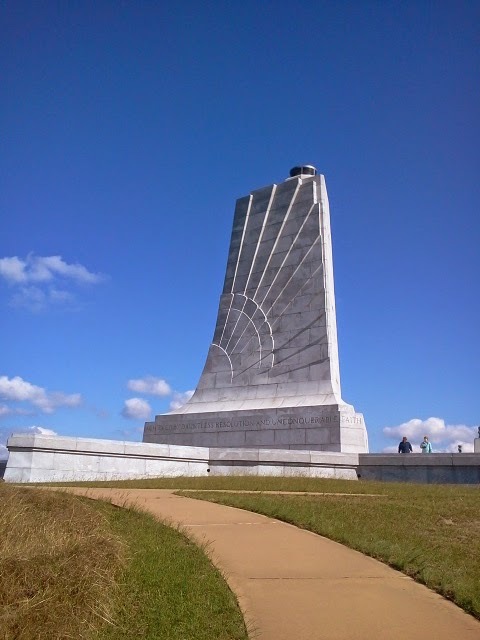 Our first stop was the Wright Brothers National Memorial. 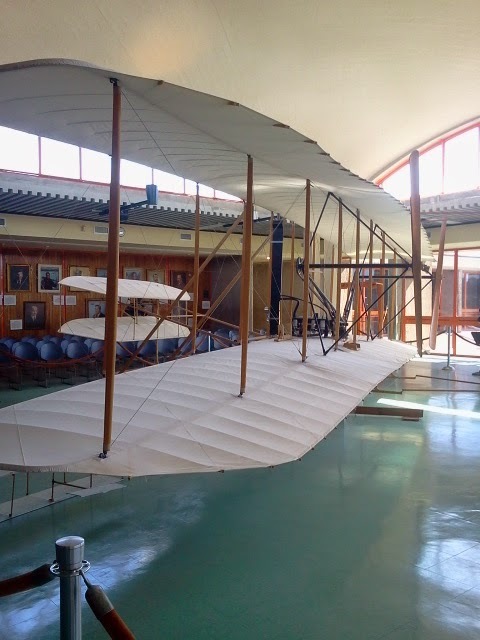 We both love history and are always fascinated with inventions…especially when it comes to things like airplanes. Although the memorial was halfway between our last stop in Shawboro, NC and our destination of Avon, NC the parking lot was large enough to accommodate the Mutiny (even with the Jeep being pulled behind it) without a problem. So, we took advantage of the stop and did a little sight-seeing. 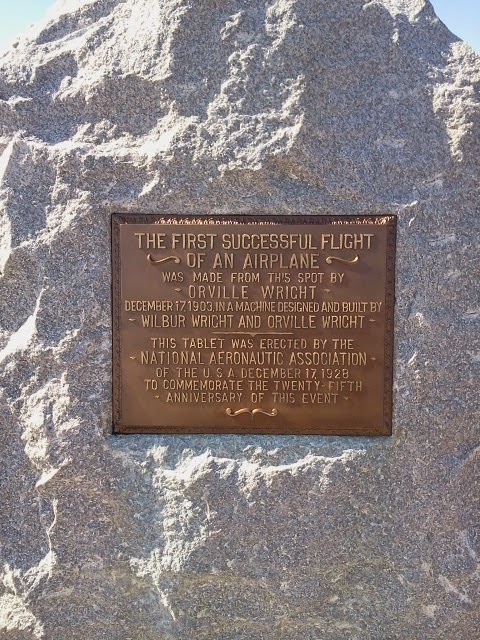 One of the runway markers commemorating the first flight ever recorded. 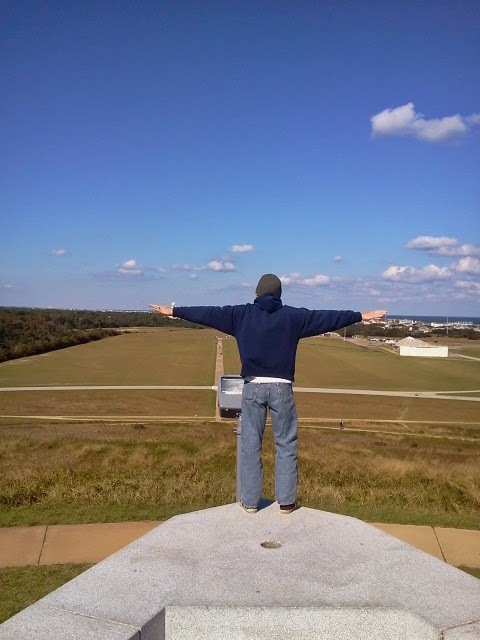 Atop Big Kill Devil Hill where Orville and Wilbur conducted their glider experiments. Here’s Clark demonstrating how the gliders work…ready for take off! 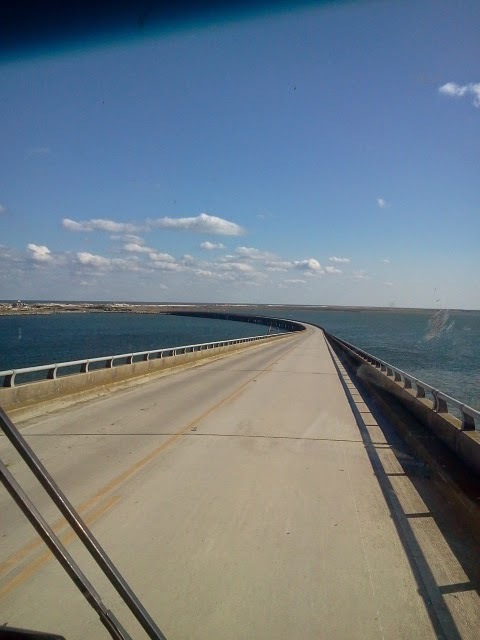 After a nice stop we continued on to Avon, North Carolina passing through Nags Head and skirting along the Cape Hatteras National Seashore…and crossing another impressive bridge which linked two of the banks. 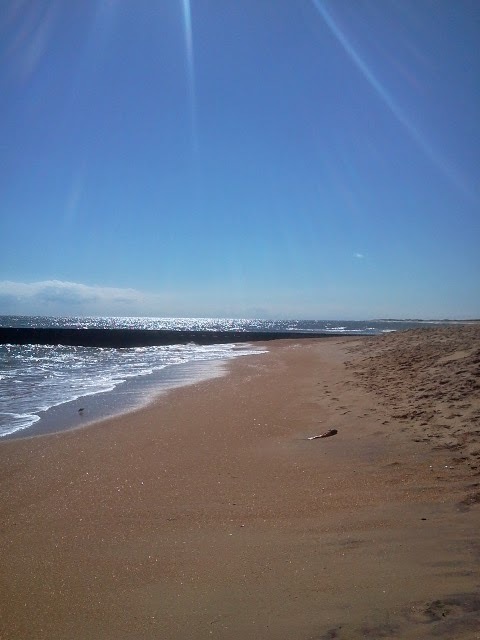 Cape Hatteras National Seashore…so inviting! 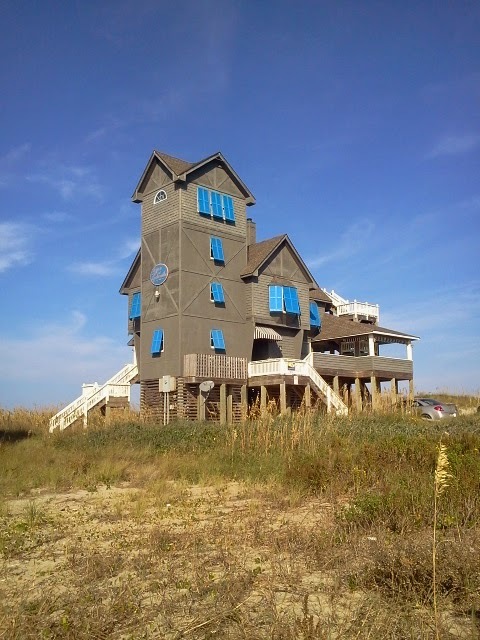 We stayed at Sands of Time in Avon (or Kinnakeet as the locals call it) which is a small fishing village in the Outer Banks. 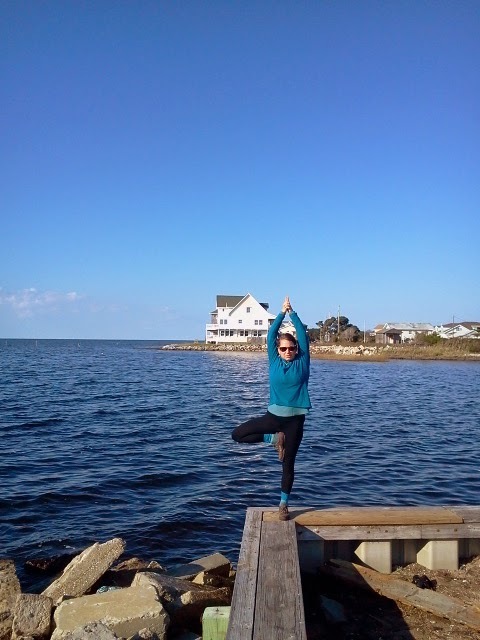 While not exactly on the beach, it is within walking distance. It’s also a Passport America participating campground with no limit on the length of your stay, surprise, surprise! Our stay was less than $25 per night which is pretty dang good compared to the prices you’ll see when you start shopping around. At the time, we were also willing to forgo beach front camping knowing we’d be spending the next 2 months on the water in Cedar Key, Florida. 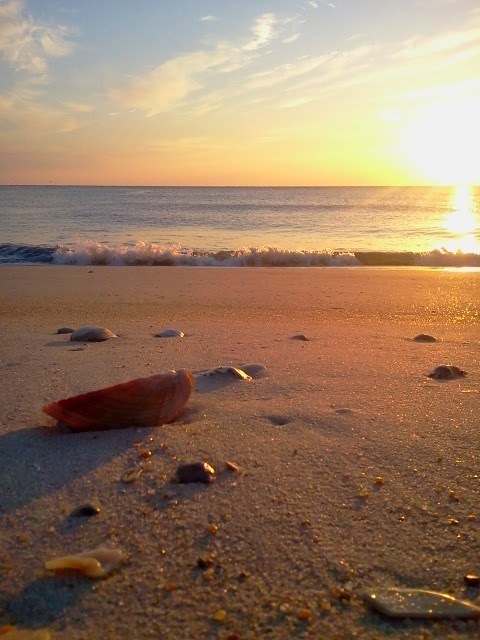 One thing I truly love is a good sunset, especially while sitting on the beach. However, being on the east coast I knew that would be impossible (something about the sun rising on the east…) so what did I do? I opted to set the ol’ alarm clock and get up early every.single.day. to take pictures of the sun rise. 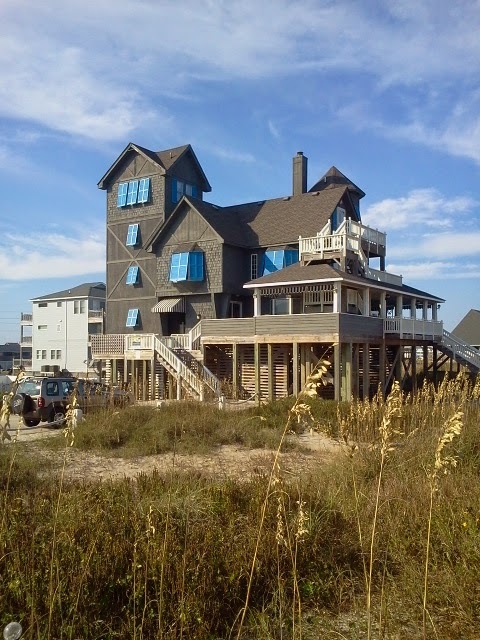 We also took the short trip up to Rodanthe to check out ” The Inn in Rodanthe“ that was used in the Nicolas Spark’s movie Nights in Rodanthe (staring Richard Gere and Diane Lane). It’s real name is Serendipity and it was moved a short distance from it’s original location after being condemned due to damage storms, hurricanes and erosion over the years. But it’s still for rent and the new owners have done a nice job restoring it to it’s movie glory. 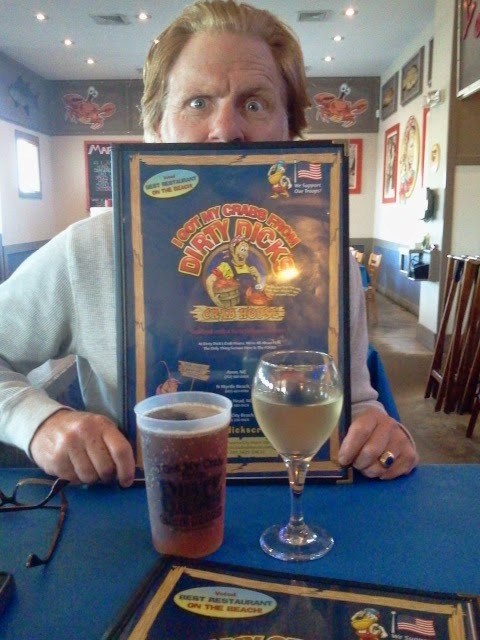 Of course a meal out was in order…after all, it’s not every day you find yourself in the Outer Banks. This place seemed appropriate at the time. 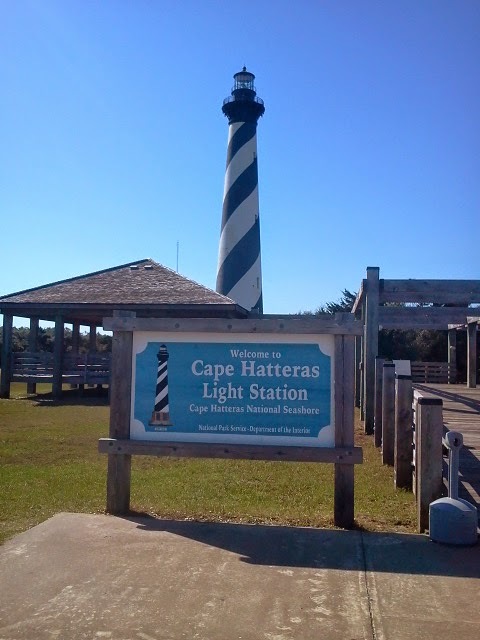 We also took a drive to Cape Hatteras Light Station. The entire surrounding area is simply beautiful and worth exploring. Although our visit this time around was limited we enjoyed ever minute.